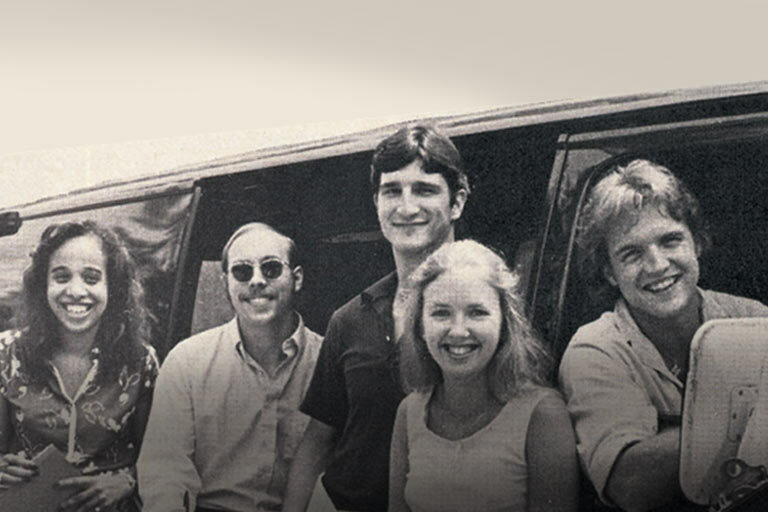 British hi-fi audio giant KEF knows a thing or two about making great-sounding loudspeakers. 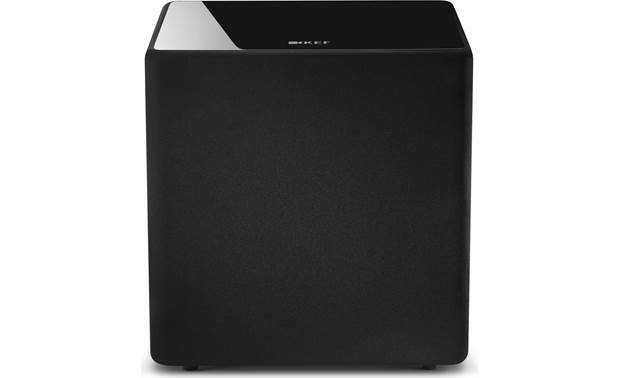 British hi-fi audio giant KEF knows a thing or two about making great-sounding loudspeakers. 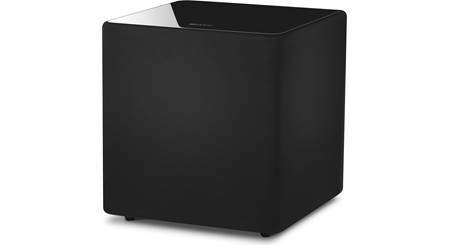 So it should come as no surprise that the company's audio expertise extends to powered subwoofers, too. 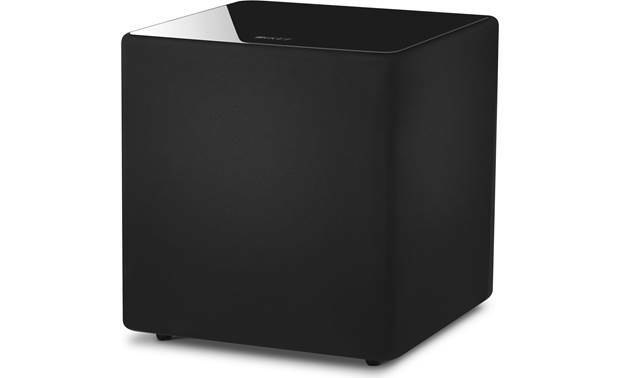 The KUBE 10b delivers hard-hitting bass for music, movies, and video game soundtracks. 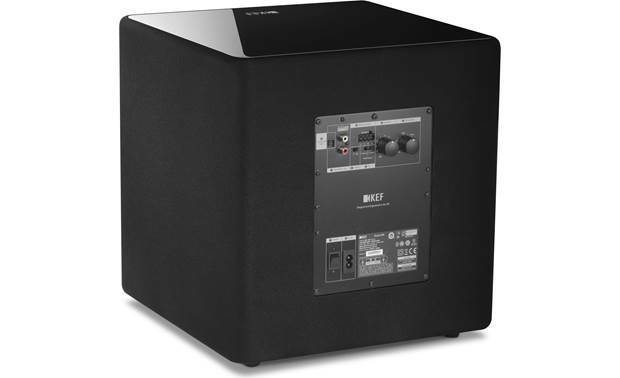 A rear-panel "location switch" optimizes the bass output to match where you've placed the sub. 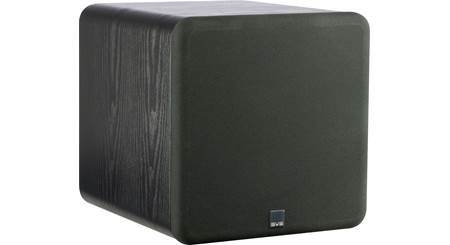 The KUBE 10b is outfitted with a custom-designed 10" woofer, and a powerful 300-watt RMS amplifier. 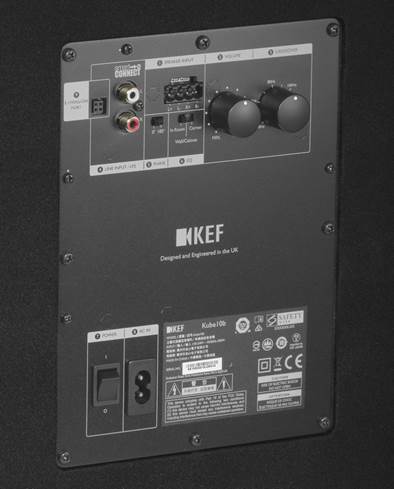 KEF designs and builds all of their components in-house to make sure that both the quality and audio performance are up to the company's high standards. Use this sub with confidence in a small- to medium-sized room. 10" Woofer: The Kube10b features a front-firing 10" woofer that has been designed, built, and integrated in-house by KEF for a new level of optimization that delivers deep, articulate bass. 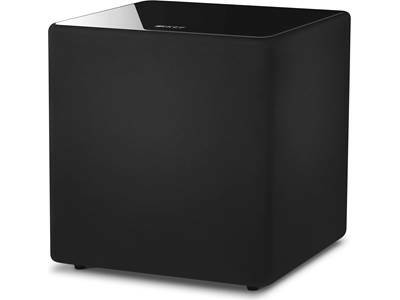 The 10" powered subwoofer is perfect for smaller rooms. 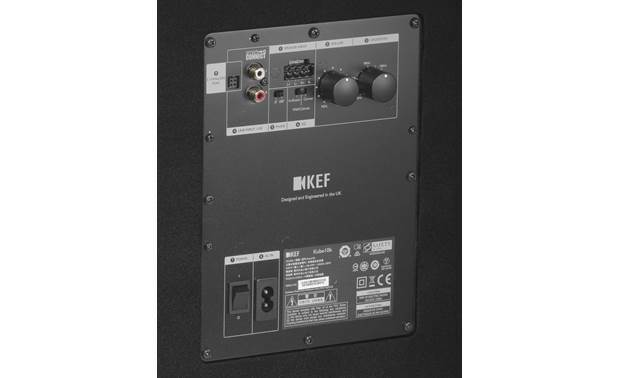 300W Class D Amplifier: The powered sub's 10" woofer is driven by a 300 watt Class D amplifier with a formidable 56-bit 50 MIPS DSP preamplifier for immersive, dynamic bass performance. 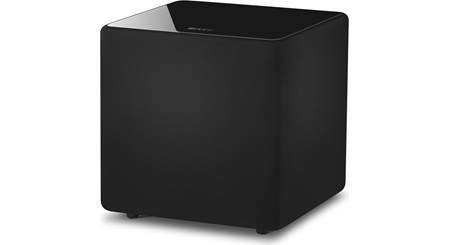 Searches related to the KEF KUBE 10b Powered subwoofer.